Trouble is no match for a lady of the extended Worthington family-except when it comes in the form of a most irresistible gentleman . . .
Lady Charlotte Carpenter's brother-in-law has put an infamous brothel owner out of business-yet it is Charlotte who suffers the consequences. 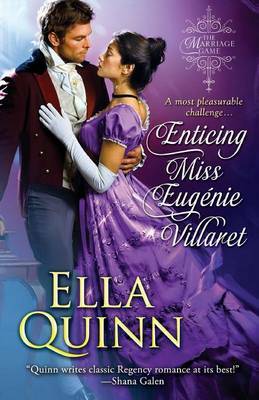 Abducted by thugs and held at an inn, she is plotting her escape when she's suddenly rescued by a dashing gentleman. Only afterward does she realize she's seen him before-with two courtesans! Unwilling to tarry with such a man, Charlotte makes her second escape. But it is too late to repair her reputation . . .
A known gossip has spied Charlotte's movements, and his report is speeding through the rumor mill. Soon, everyone knows that Charlotte spent the night with Constantine, Marquis of Kenilworth. And everyone agrees the only answer is marriage-including Constantine himself, his overjoyed mother-and his mistress! But Charlotte's abductors aren't finished with her yet. Now Constantine will do anything to protect the spirited woman he loves and win her heart . 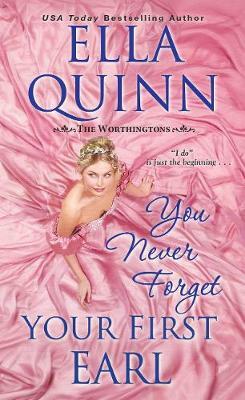 . .
Buy The Marquis And I by Ella Quinn from Australia's Online Independent Bookstore, Boomerang Books.